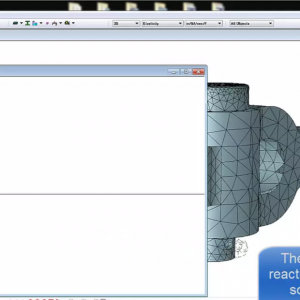 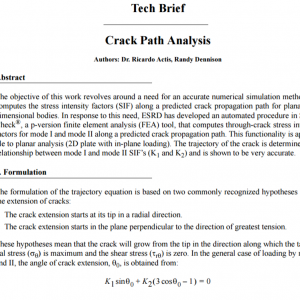 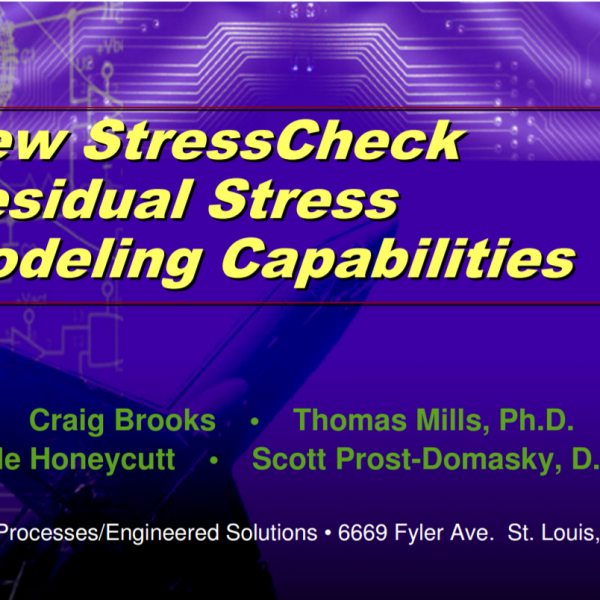 Conference Presentation: New StressCheck Residual Stress Modeling Capabilities | ESRD | Engineering Software Research and Development, Inc.
Abstract: New residual stress capabilities are being incorporated in StressCheck to improve stress intensity factors (SIFs) in cold-worked holes. 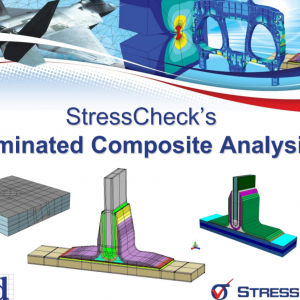 Categories: Fracture Mechanics Module, Linear Elasticity Solver, MeshSim Advanced Module, Non-Linear Solver, Residual Stress Modules, Simulation Technology, StressCheck Core, StressCheck Professional. 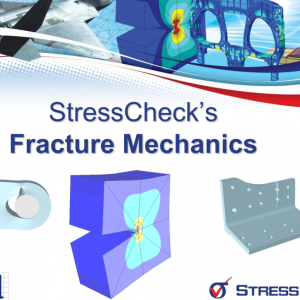 Tags: Coldworking Stress, Damage Tolerance, Fracture Mechanics, Residual Stress.